The Metropolitan Council Environmental Services’ (MCES) visionary leadership and close collaboration with regional partners have been key to advancing integrated water management in the US state of Minnesota. Karen Jensen and the MCES team explain how the process began with the Empire water resource recovery facility expansion project. Expansion of the Empire water resource recovery facility located near Minneapolis, Minnesota, United States (US), from 45.4-million liters per day (MLD) to 90.8-MLD capacity in 2007 started a process to implement integrated water management – also known as One Water – which continues to the present day. Metropolitan Council Environmental Services (MCES) leadership and staff leveraged the facility’s location adjacent to the Vermillion River, a designated cold-water trout stream, to collaborate with Minnesota state agencies and a nonprofit to construct green infrastructure practices, to divert effluent providing enhanced opportunity for reuse, and to restore natural habitat. 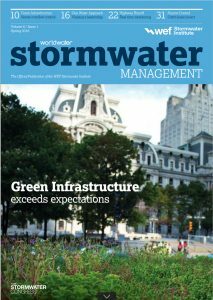 Read more of Lessons learned at Empire facility guide state policies on p. 13 in the Spring issue of World Water Stormwater Management magazine.